These days, the buzz word “cybersecurity” is tossed around frequently — but what does this word it really mean? 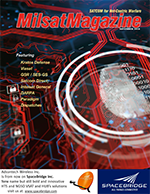 Cybersecurity is the business and processes of protecting IT systems, networks and computers from the theft of electronic assets, information and data. This is a real concern in a constantly connected and digitally evolving world. When device mobility is added in, and then topped off with an extremely dynamic, technological landscape, the chances of a malicious attack by an unauthorized party grows exponentially. Data or information can be hijacked and compromised from ransomware, phishing schemes, brute force attacks, denial of service or engineered malware. Even the most vigilant organizations, which understand the gravity of the situation, are still prone to a myriad of attacks. Return-on-Investment (ROI) for cybersecurity used to be something that was difficult to monetize. Every day cybersecurity is becoming easier to quantify and, some would argue, invaluable for organization and business inclusion. The damage that a carefully orchestrated attack on an organization can do, financially and in terms of damage to the brand and image, far exceeds the costs necessary to protect the organization, whether a major corporation or a small or medium business. In fact, a report in 2015 by Lloyds estimated that cyber attacks cost worldwide businesses as much as $400 billion a year — a number that includes direct damage to business resources, as well as an enormous amount of funding to correct for post-attack disruption to the normal course of business. Estimates are that this dollar amount will continue to increase in the future. Cyber strikes incursions that require just a minimal amount of time to infect a target business could take a surprisingly long time to remove from the victim’s system, and then sanitize. 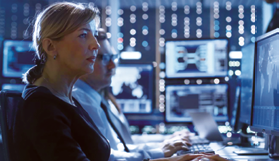 Within the constantly connected and digital world, these environments — the home, the office and, yes, the sky — are now rich targets for digital infection. Connectivity is required for most forms of videoconferencing, emails, messaging, social media and entertainment, to name but a few. Users who are traveling at 500 knots per hour at an elevation of 40,000 feet might believe they are impervious to these attacks. Unfortunately, such is not the case. 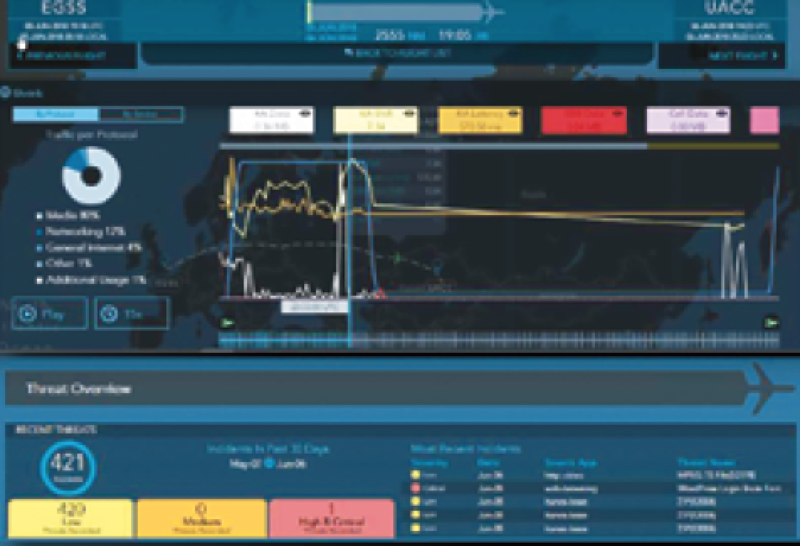 Screenshot of Satcom Direct’s Threat Monitoring solution. Persistent threats do not care how fast or high a target is traveling — system compromise is the goal. Add in that those traveling in the world of organizational and private aviation often have a great deal to lose if they become the focus of a cyber attack, from top secret government documents, military plans, monetary assets, confidential corporate information or Intellectual Property — all can be acquired by those whose aim is to disrupt and destroy data. 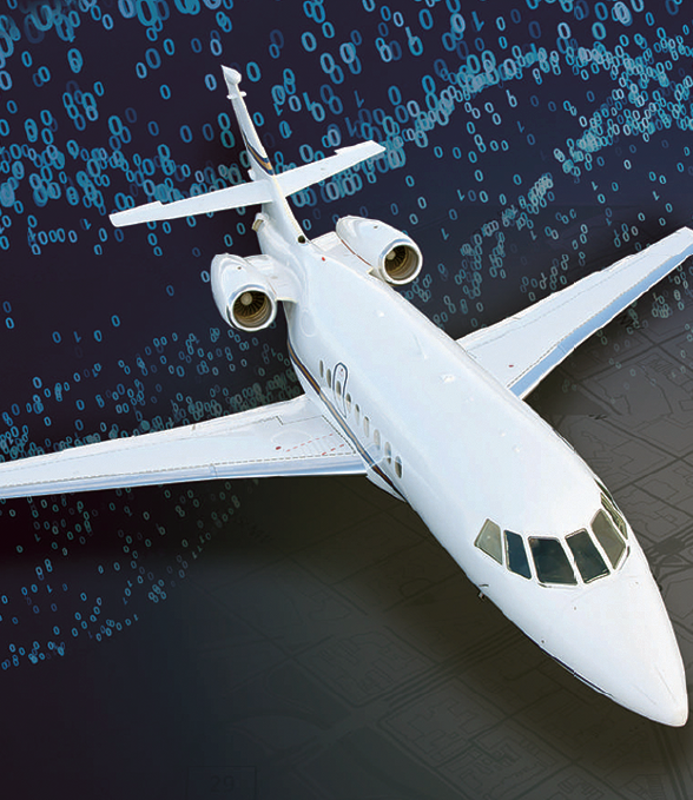 An example of successful counter cyber attack security is a recent flight completed by a Fortune 50 client within their corporate jet that was outfitted with SD hardware and software. This configuration, coupled with SD 24/7 threat monitoring, allowed the SD Cybersecurity team to proactively prevent an ongoing threat to a device in use aboard the plane. Flying internationally, the team of executives were all connected via several devices on board the plane. The SD Incident Response team discovered a situation where one user was connecting to a host website with an unencrypted login, where the user’s credentials were being relayed in plain text. This presented a concern, for the user was being exposed to significant risk in having their login credentials and personal, identifiable information potentially stolen. The SD cybersecurity technology immediately blocked the connection and at no time was the legitimacy of the network in jeopardy. The SD team followed up quickly with the CIO and team at the client location to explain the situation and details in depth. Satcom Direct takes cybersecurity seriously. The SD Threat Monitoring subscription provides real-time data monitoring, safeguarding valuable information. The SD Direct team also provides security discovery and on-site risk assessments to protect an organization, aircraft and hangar. Satcom Direct (SD) and its companies provide global connectivity solutions for business and general aviation, military, government, and head of state aircraft. The company also provides land mobile services to areas with connectivity limitations. Since 1997, SD has worked to advance the technology of global connectivity, being first to market with many new capabilities in communications technology. SD’s industry leading connectivity solutions are complemented by their divisional capabilities including SD Avionics cabin and flight deck systems and SD software solutions. A premier Inmarsat distribution partner (including Jet ConneX), Iridium service partner, and ViaSat Ku preferred reseller, SD is also the exclusive service provider for SmartSky Networks, and the Master Distributor of Intelsat FlexExec. SD World Headquarters and primary operations center is located in Melbourne, Florida, with additional office locations in the United States, Canada, UK, UAE, Switzerland, Hong Kong, Australia, Russia, Brazil, and South Africa.